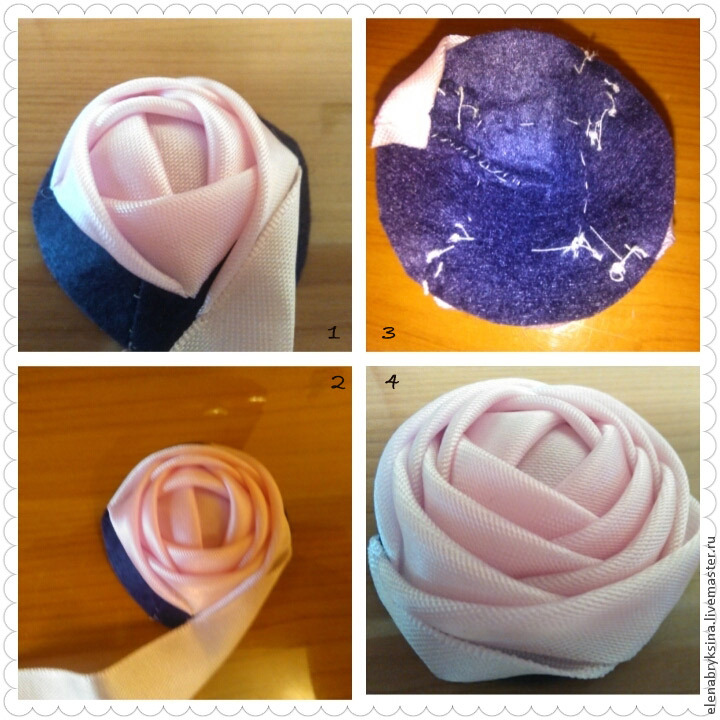 - a satin ribbon with a width of 2.5 cm, a length of 65-70 cm. 1. 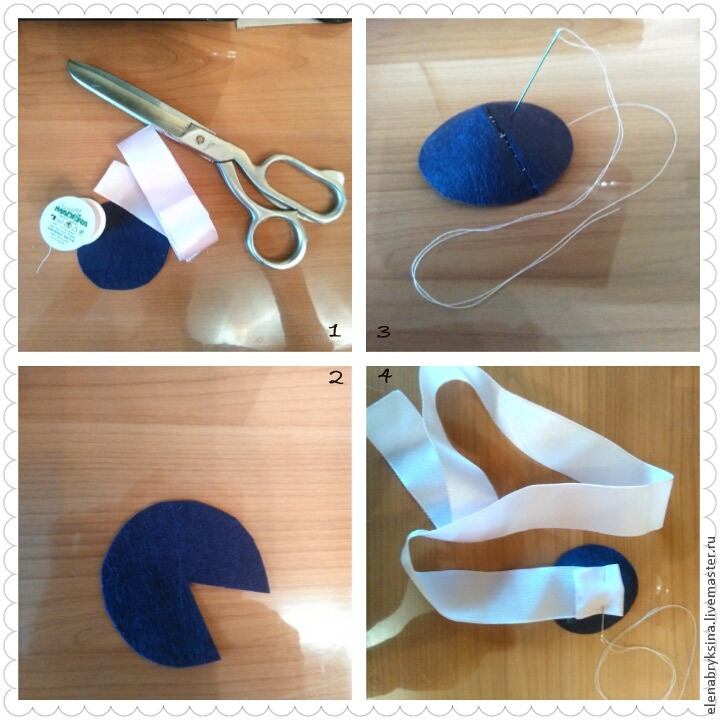 Cut the sector from the circle and sew the edges, a small cone is obtained. We fold the tape to make the square face up. 2. 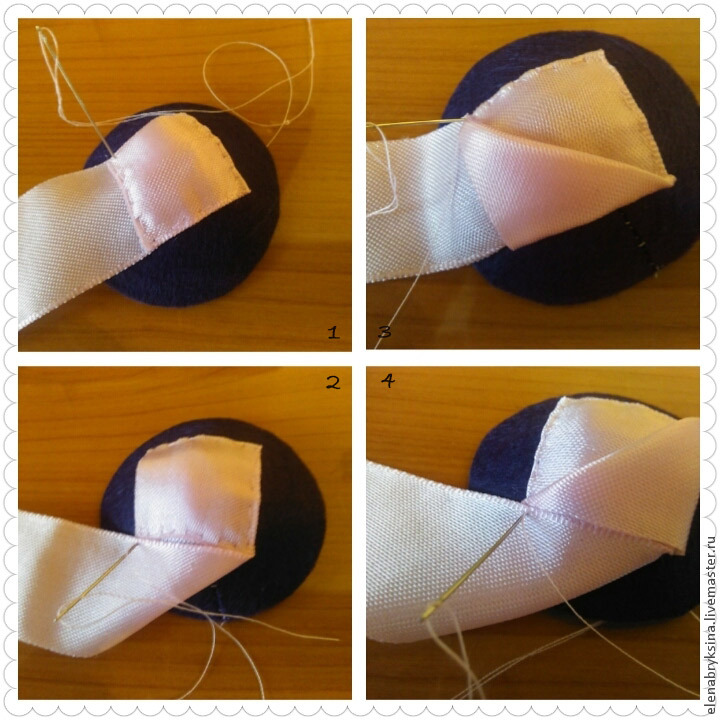 Sew the square to the center of the cone along three sides. Bend the ribbon to the underside of the square to make a triangle. Sew a corner. 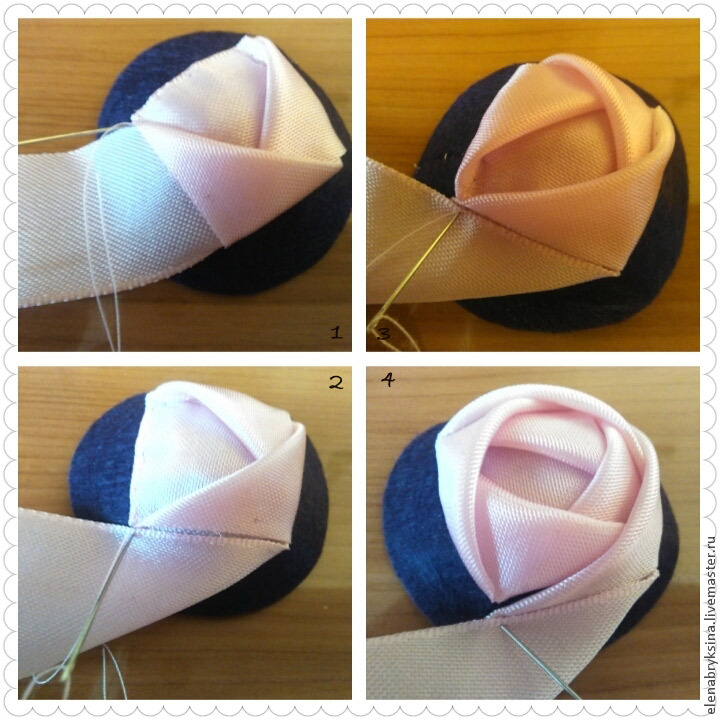 Bend it again and sew the left edge. Again, bend the tape, overlay the square and sew the edge. 3. Repeat this simple action several times along the sides of the square, forming a rosebud. Next, continue to sew a bit with the angle offset. 4. 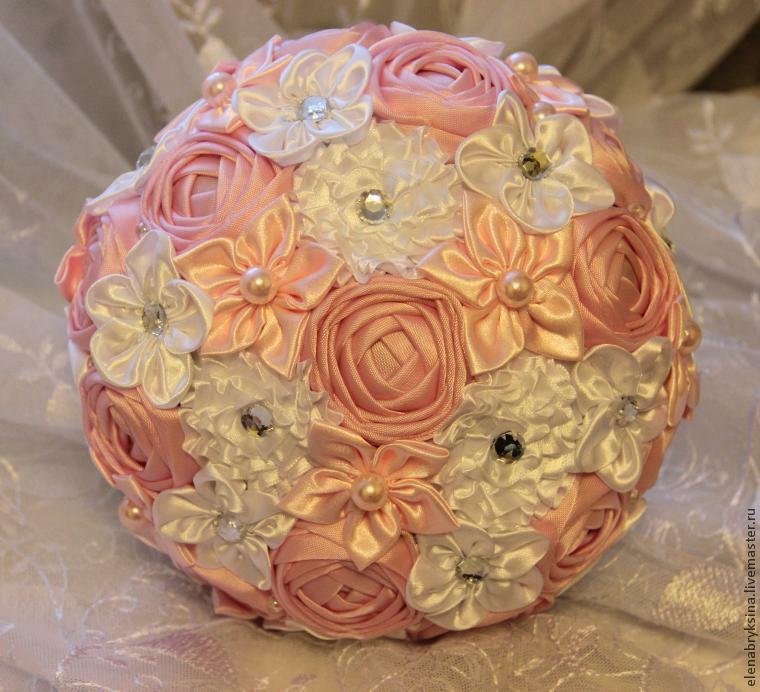 Form the rose until all the felt is filled. The edge of the tape is bent back and sewed to the wrong side. Done! And then only your imagination!